I would have walked straight passed this place had it not been for an abrupt shower, which made me stop to look for an umbrella. 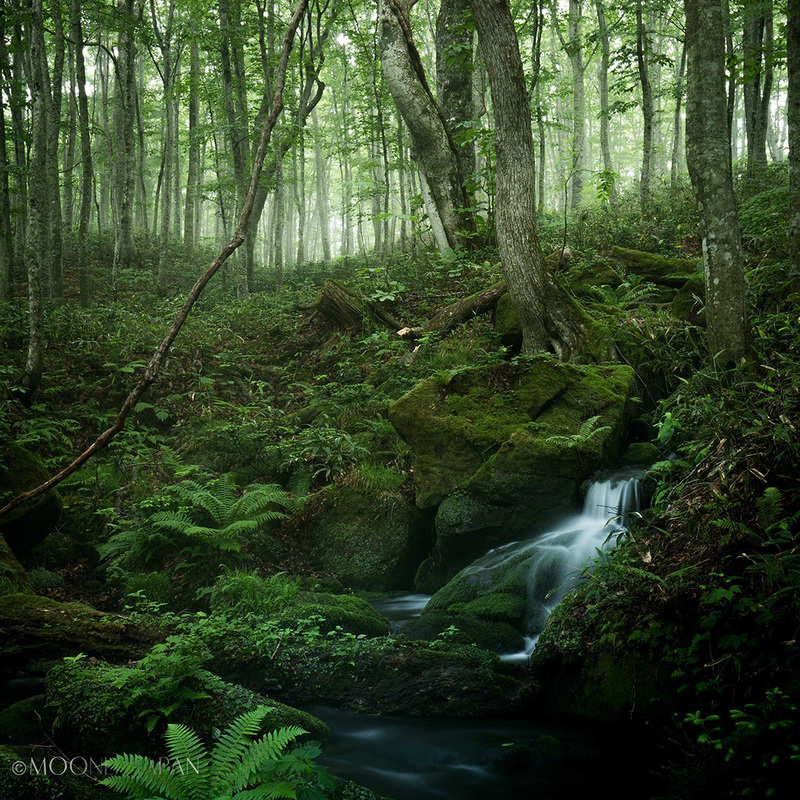 A small stream was running so timidly, unnoticed perhaps, by many that walk by, in this vast primeval beech forest. This area in Aomori is called “the forest of Tsuta” where six swamps, each with a distinctly unique character, are dotted within one mile radius. The rain lasted only a few minutes, then let up suddenly and left the place with nothing but the sound of a million raindrops dripping from the beech leaves. I looked up at the sky and thanked humbly for this blissful encounter.